Stan Lee always does a "cameo" in Marvel Universe films. here, his words , foreshadow the apoalypti challenge with a curt, dry, "Haven't You kids seen a spaceship before?" The object looks like a 360 degree roller coaster hovering above the Hudson River. 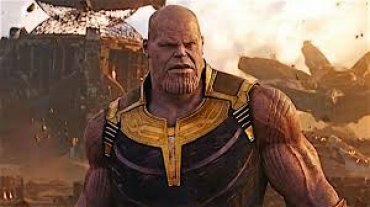 Following the quest to protect the powerful infinity stones from falling into the hands of Thanos (Josh Brolin) who has a deluded solution for Earth's and the universe's overcrowding --- genocide. He's facing Avengers, ex-Avengers, Guardians of the Galaxy and the Black Panther in his attempt to collect all the stones. 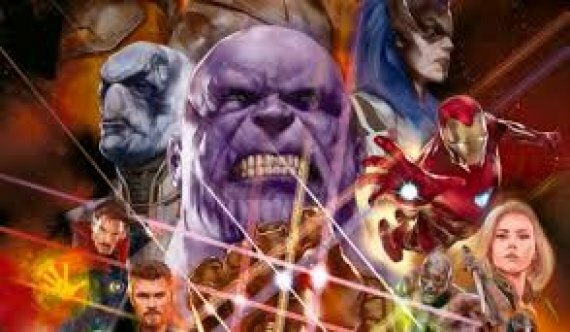 Rumored to be the most (or one of the most) expensive movies ever made, Avengers Infinity War exceeds expectations. My allusion to the circle coaster spaceship reflects one critic's praise that this one's like "going to a theme park and taking three spins on every ride there" where there's more superheroes per frame than any comic book film in history. 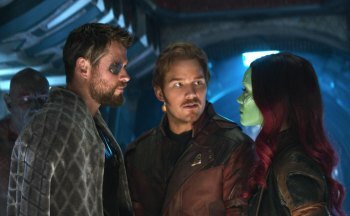 The Russo brothers (Tony and Joe) directing handles earth to universe jumps well, an assortment of battering ram close combat battles , along with impeccable designs , f/x to astonishment, and particularly verbal banter between Iron Man (Robert Downey Jr) and Spiderman (Tom Holland). A nerdish Bruce Banner desperately trying to induce the Hulk transformation works well, too. On the down side, too many characters walk into battle or report to duty lacking brief introductions necessary for all but mighty Marvel universe fans. Some appearances are mere cameos. Initially, the Wakenda sequence does not do more than show the layout and characters. Fortunately, the Russos effortlessly mix ego jarring sarcasm. shaking the planet rumbles, and character juggling. It's not a bit like the over populated blockbuster disaster films of the 70s (a.k.a. Towering Inferno, Earthquake) which detoured into soap opera territory. 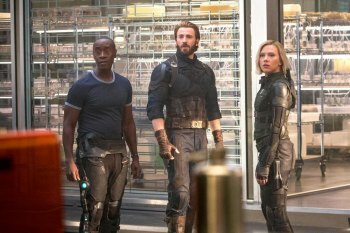 Without explanation or a barb, Black Widow (Scarlett Johansson ) has dyed her hair blonde (the color it should have originally been?) presumably to separate her from all the redheads like Scarlet Witch (Elizabeth Olsen), and Gamora (Zoe Soldana) . Admittedly, Constant scene shifting occasionally turns cheering exhilarated crescendos to emotionally cheated plunges. I'll allude to the obvious spoilers, briefly. Yes, the hero body count (well, dust to dust) has a high toll, yet , comics in particular have a way of reviving those presumed "dead." The pace of the film allows little time to weep, either. It wraps intact a manner similar to an early "Star Wars" film (anything further would be too much a spoiler) --- a dangling cliffhanger but intact on its own. Marvel, incidentally, had a goal of this not appearing to be Part One of a 2 part series. Films broken down that way generally do not attract repeat business. This one stands separately just enough. Anyone with superhero film exposure KNOWS something's comin' next year. I can't say what, if anything, would lessen the over population of characters, other than leaving out a few of the Marvel Universe also rans only have small cameos. However, the studio seemed determined to insert most of those co-existing on Earth. Fans demanded it too. About 5% of viewers (at the screening) found spots for concession and/or bathroom breaks. An action genre fan (but not necessarily of superheroes) told me it was "too big" with "too many" characters. Interestingly, the female heroes have by comparison to Iron Man and Spider Man contribute much through their screen time is more akin to window dressing, not Wonder Woman leadership. That's likely to change in the sequel when Captain Marvel (a female) enters the scene. Battles, choices, and strategy meld astronomically well. In spite of an excess of characters, the story moves fluidly. Fireworks, laughs, and surprises just do not stop. When the credits began, NO ONE rose from their seats at the Thursday screening. Translation: They all knew a stunning peak would follow post credits. This is one film for enhanced viewing choices upgrade consideration. One group has a weekend road trip to Lexington, Ky. planned for an IMAX viewing. 3D would be a great choice too, especially since its more common in WV than "extremes."